Sweet and spicy Thai curry, creamy Sri Lankan dhal and soft chicken satay sticks with smooth, sticky homemade peanut sauce are just some of the best dishes we have encountered on our travels. Not only have we eaten them, we have cooked them too! We’ve learnt so much from taking a cooking class abroad – from how to cook rice properly, to knowing the difference one tiny ingredient can make to a dish! We try to make a point of taking cooking classes wherever we go (although we are yet to take a Chinese one – after living in China for two years, this is not okay, especially with all the great food in Beijing!) 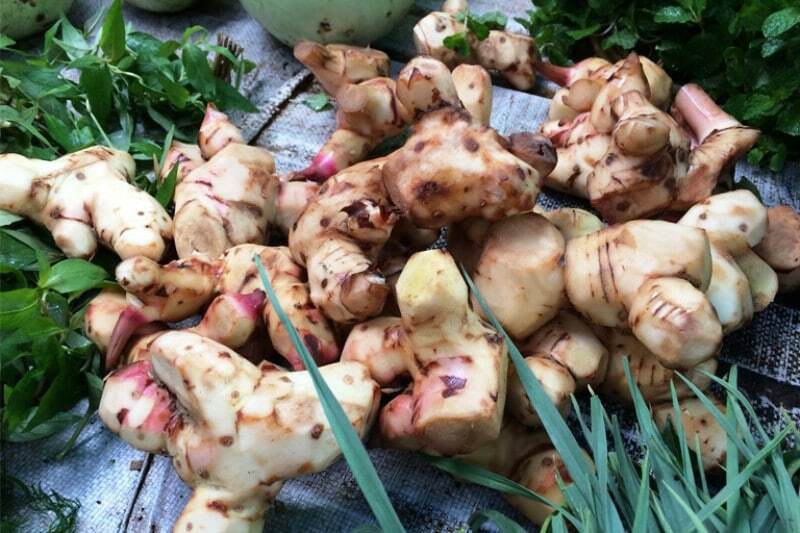 so that we can replicate the amazing flavours we tasted on our trip. 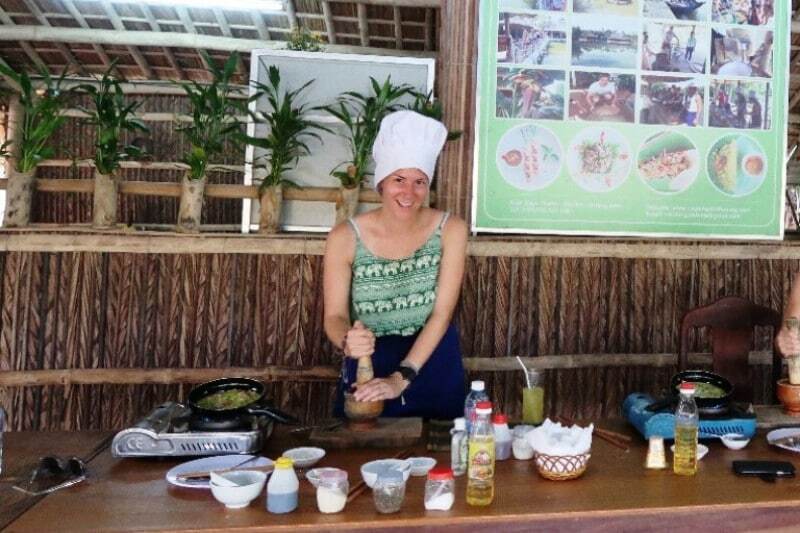 If you’re looking to take cooking classes in Asia, then you’re bound to find a good one in this list! We asked other travel bloggers to tell us about the best cooking classes they’ve taken. Right now, we’re tempted to book all of them ourselves! 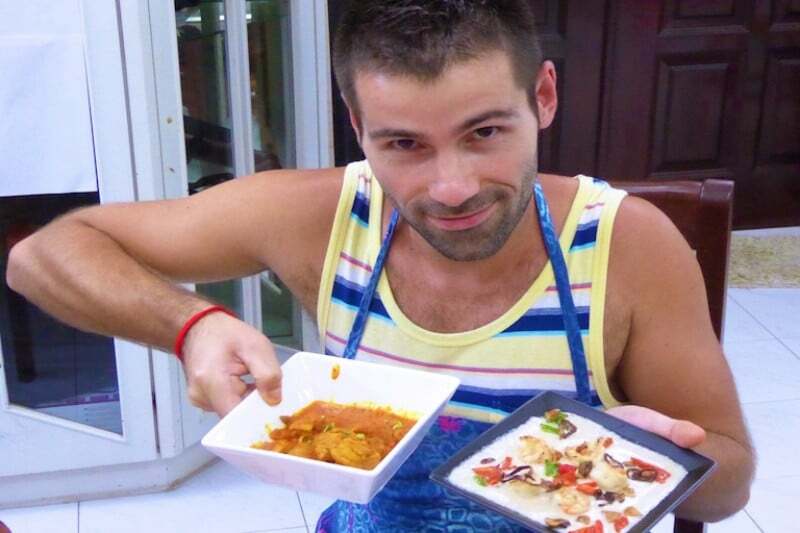 One of our favourite cooking classes was in Thailand. Not only do you cook 6 dishes yourself, but the school is set in a beautiful farm. You cook in the open air too. We were given a choice flavours and meats (tofu for the vegetarians), and we even had a classic Thai dessert! The school offer different options on different days, so what you cook depends on when you go. 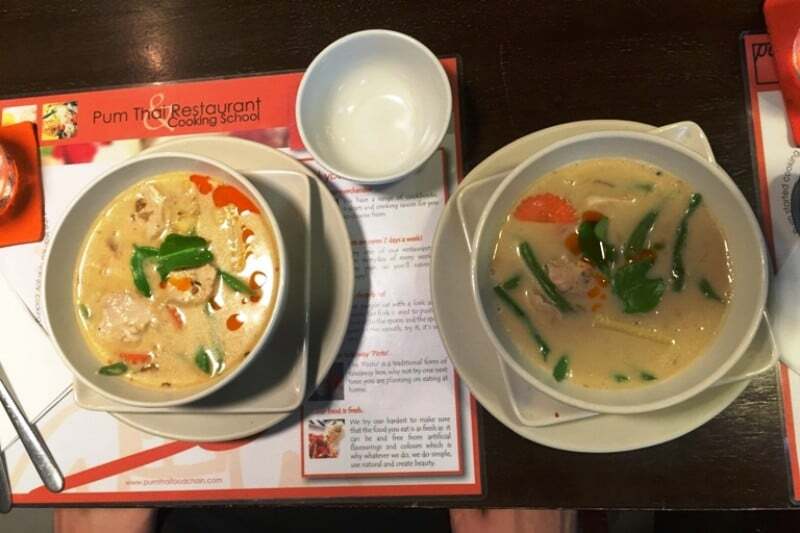 Jade cooked a green curry, tom kaa gai (chicken, galangal and coconut soup), and Kev chose a red curry and tom yam kung (spicy and sour soup). We then all cooked phad kaprao gai (fried chicken with basil leaves), pad Thai and kluay bod chi (bananas in coconut milk). We were also served a papaya salad to share. The lady who led our class was so energetic and made the whole day great fun. There were around 8 of us cooking, which is a good small number. We spent all day chatting away whilst we chopped, bashed and ground spices. We didn’t even have to clean up as the staff discretely cleaned everything whilst we ate our delicious meals. At the end, we received professional looking recipe books with all of the meals we cooked plus a few more. We have now been able to recreate a few dishes since we returned to China! If you’re ever in Thailand, we would definitely recommend making your way to Chiang Mai, not only because it’s a beautiful place to visit, but because you must take a cooking class at Thai Farm Cooking School and experience cooking fresh and authentic Thai food! 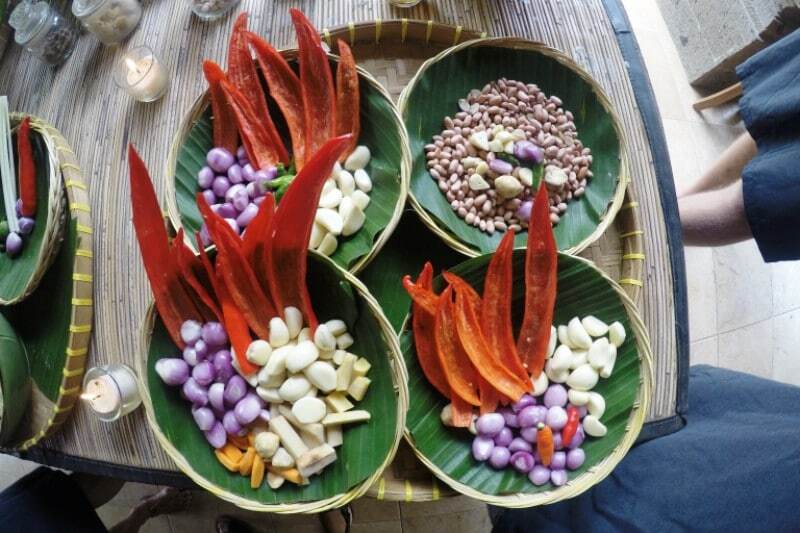 Balinese culture is something that we hadn’t had any experience before, and that included the food. 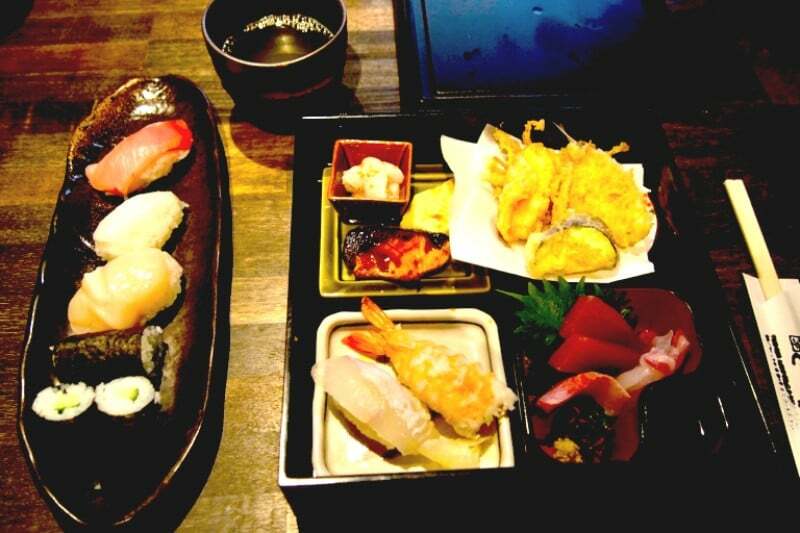 Once we’d done a little research, we couldn’t wait to learn some completely new dishes. 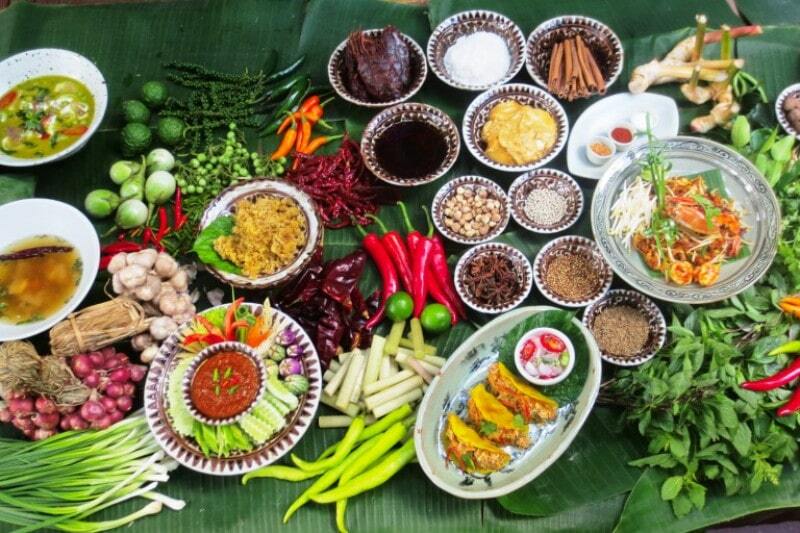 Lobong Cooking School is situated in the most gorgeous Balinese house, complete with beautiful shrines and perfect gardens. Before arriving, we were taken to a market to learn about all of the different spices and ingredients. We werethen greeted at the housewith pisang goreng and strong Balinese coffee. There was the opportunity to visit the family’s shrine too and take some photos. The staff guided us whilst we chopped, and gave us each a role when we cooked. You might be lucky enough to have a small group, meaning you each get a turn doing a specific job. We cooked ayam bakar bumbu Bali (barbecued chicken breast with Balinese spices), sate lilit ayam (minced chicken with coconut and lime), jukut urab (mixed vegetables with grated coconut and garlic chilli dressing, sambal ulek (tomato and chilli sambal), and finally bubur injin (black rice pudding). The food is also insanely good – we finished cooking and then a member of staff dished up, arranging the meal beautifully. *If you’re visiting Bali with children and are worried that they’re too young to come along, don’t be! Call ahead and speak to the school because another couple in our group brought along their 6 month old baby! A lady from the school’s family looked after him for the whole time. The Balinese LOVE babies so they were only too happy to do so whilst the parents got stuck in. I was honored to be invited to the Siam Wisdom cooking school in my trip to Thailand. Siam Wisdom was started by Mr. Christian Johann Jadpradit Kostner, famed celebrity from Thailand’s Iron Chef show. The restaurant is situated in a gorgeous, century-old house in the heart of Bangkok. In my cooking class, we learned how to make tom yum goong mae nam (prawn soup with young coconut), nue yang nam tok (grilled beef with spicy salad), and bou loi (three-color rice dumping in coconut milk). The cooking class was followed by a full dinner from the restaurant, with more dishes than I could list here. 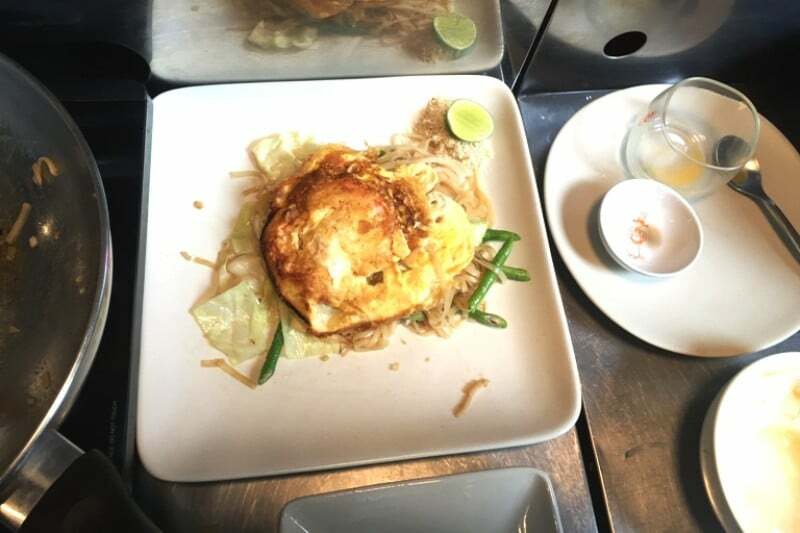 Siam Wisdom specifically serves traditional Thai dishes with their roots in antiquity. The restaurant goes all out with their spectacular service and quality, both in the class and dinner. I was also given a full pack of all the recipes we learned, so I could continue to practice them after the school. Check out more stories from Skye Travels on Instagram and Facebook. I’ve always wanted to learn Asian cooking. Although we’ve been in Asia many times, somehow I never took any cooking classes. In June and July 2015 we were in Bali, as part of our 10-month adventure travelling in South East Asia with our almost 2-year old son. We stayed at a family compound in Kelabang Moding (north of Ubud) and the Jambangang cooking class was nearby. I opted for the morning class, which started with a visit to a local market. We had a nice international group of 12 people, ages between 19 and 55. The class was held in an authentic Balinese family compound, which definitely added to the experience. The setup was very professional, it was obvious they had a lot of experience teaching these classes. The men and women clearly each had their own jobs. The girls did all the washing and cutting and the boys were grinding and pounding the meats and spices. The cooking was done all together. We made a lovely mushroom soup, peanut sauce, amazing chicken curry, sate lillit, gado gado, lawar, pepes ikan and fried tempe manis. The food was amazing and they even gave me some food to bring home to my family. Would definitely recommend! Follow more of Flip Flop Globetrotter’s adventures on Twitter and Facebook. 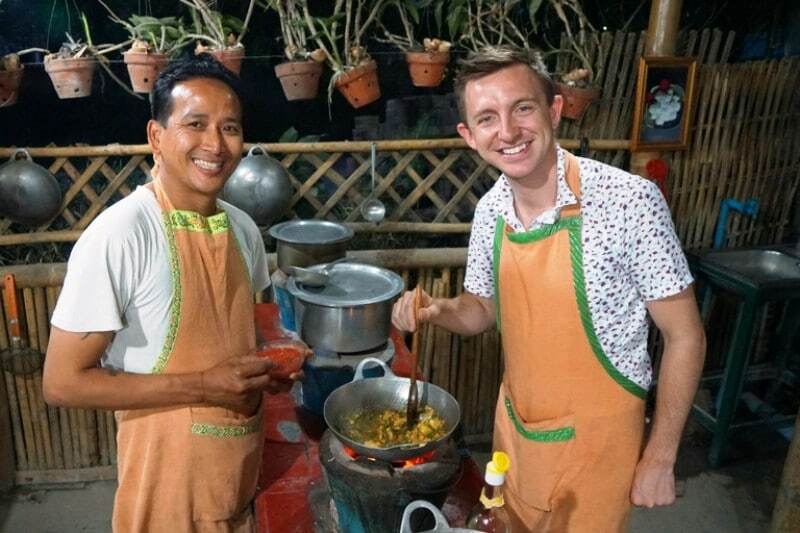 Of all the cooking classes I’ve taken in SE Asia, my favourite is Tamarind cookery class in Luang Prabang. The day started out with a trip to Phousy Market on the outskirts of Luang Praband. 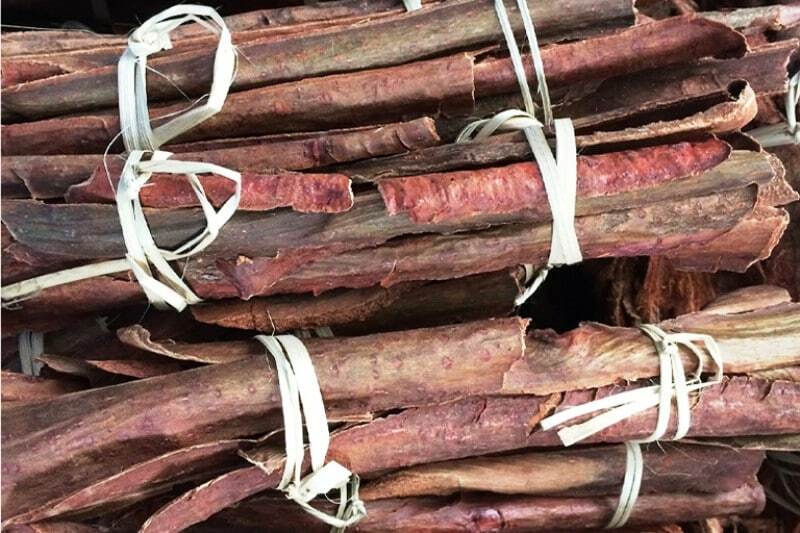 We were shown around the market, shown many ingredients that aren’t commonly available outside of SE Asia, and introduced to some of the people working at the market. Once we had bought all of the ingredients that we needed, we took a tuk-tuk to the cookery school. After a quick drink, we set about learning to cook several Lao dishes including laap, oua si khai, mok pa, and pkhao gam. While many other cooking classes pre-prepare a lot of the ingredients, Tamarind cookery school didn’t. This gave everyone a very unique opportunity to learn how to stuff lemongrass with chicken (oua si khai), cook fish in a banana leaf (mok pa), and use buffalo bile to tenderise tripe for the laap. Since that trip, I’ve fallen in love with Laos cookery! I love trying to recreate the dishes that I learned to cook that day. See more from Portugalist on Facebook and Twitter. 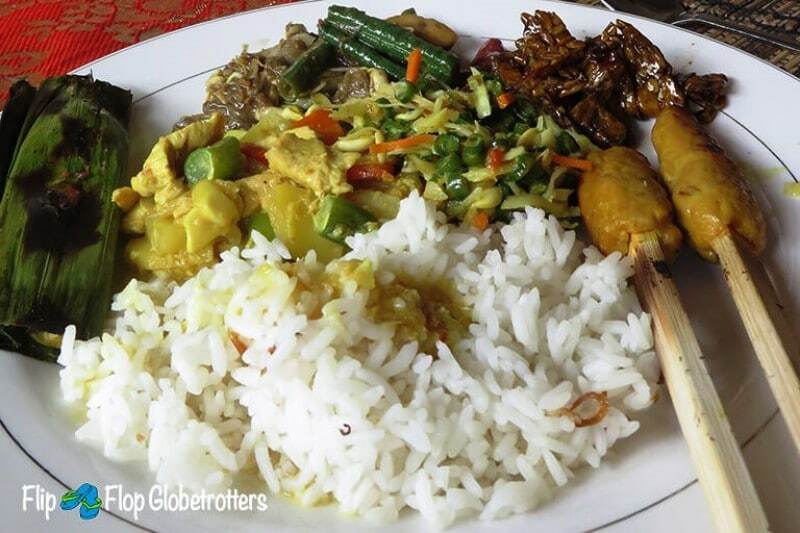 Malaysia is all about food with influences from India, China and Southeast Asia. Malaysians of all races will proudly tell you all about the different foods you can find here. 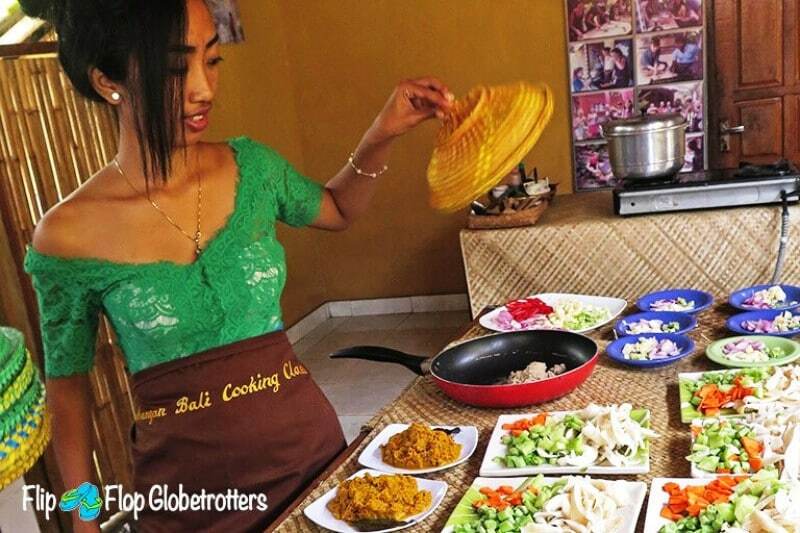 A cooking course in Malaysia is a must to get the most out of this varied cuisine. We did an excellent cooking class with Chef Pearly Kee, who is world famous for her Nonya style cooking (Chinese influenced). Our class started with a tour in the local market. Chef Pearly frequents these on a daily basis so she knows all the vendors. Then we learnt to make Malaysian classic dishes like beef rendang (a coconut milk based curry, cooked until it’s dried) and curry kapitan (a coconut based curry soured with tamarind and lime juice). As well as being a fun and informative day of culinary joy, Chef Pearly was the highlight. We absolutely fell in love with her. She is sharp, sassy and extremely funny and made it one of the most memorable cooking classes we’ve ever done in our travels. Check out more from the Nomadic Boys on Twitter and Instagram. 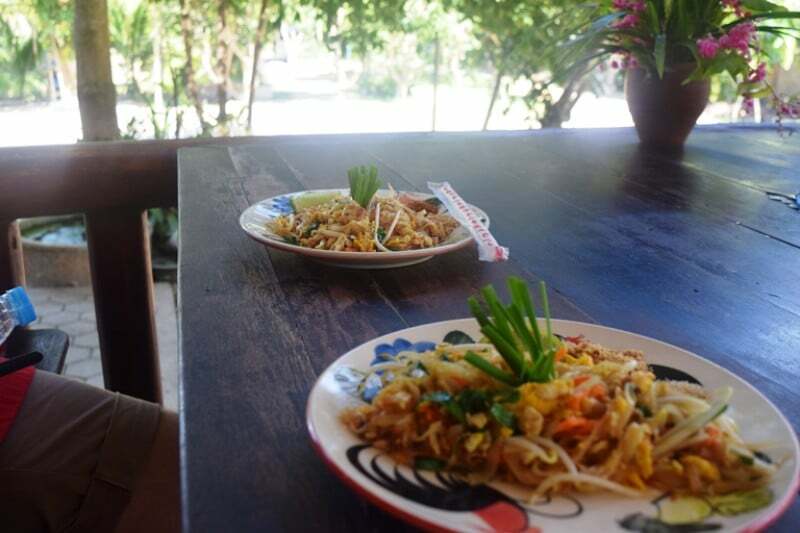 One of our favorite things we did while visiting Phuket, Thailand was a cooking class though Pum’s Thai Cooking School. It rained several of the days we were in Thailand, and lucky for us, the one day it POURED was the day we were already scheduled for an indoor activity, a cooking class! We did the 4 hour Pum’s Little Wok class, which included a visit to the local market to buy the ingredients first. Seeing the market was a really unique experience. Everywhere you looked was fresh fruits and vegetables, raw meat, seafood and spices. We returned to the kitchen and each cooked 4 dishes. The neat thing about this class is each person had their own cooking station and could cook different dishes, as opposed to classes where everyone is cooking the same thing. I chose to cook pad Thai (my favorite! ), phad siewe, khao tom soup, and a curry. Our instructor was awesome, and ran around helping everyone with their separate dishes, while making the class fun. He even came up with little songs and dances for us to do while chopping ingredients! At the end we sat down to enjoy the food together and we all shared what we had each prepared. We loved the experience and definitely recommend it if you’re in Phuket! Worn Passports share more on Facebook and Instagram. Vietnamese food was always one of my favourites, that’s why I was sure I needed to take a cooking class in Vietnam. My hostel in Hoi An offered the Bay Mau Cooking Class and after talking to a few people I decided to go for it – and I wasn’t disappointed. The day started with a tour through the local market in Hoi An, where we bought all the ingredients for the dishes and were told all the tips and tricks about Asian food. After that, we all (we were 5 people) boarded a boat for about 20-30 minutes that took us to the place where the actual cooking class started, the Bay Mau Coconut Forest. 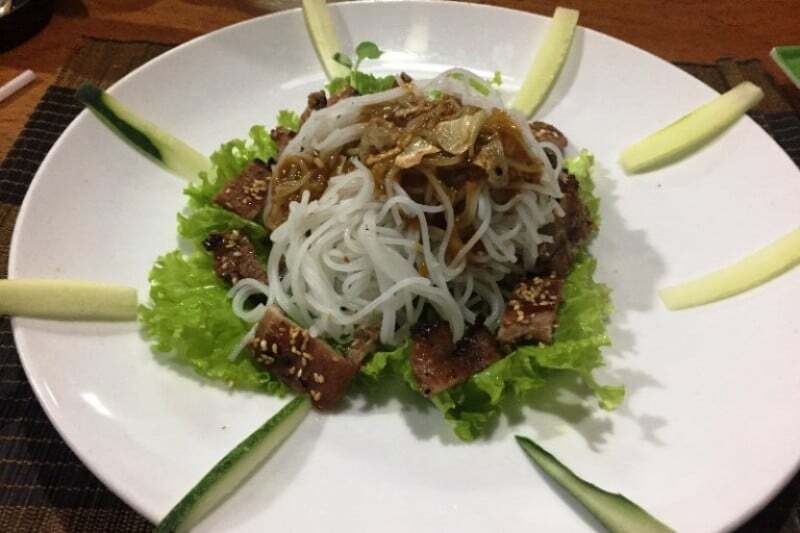 The class consisted of learning how to make summer rolls, Vietnamese crepes, fried noodles and glas noodles with beef, but also learning how to grill the meat, how to fish and how to make rice wine or milk. And all of it with one of the loveliest guides (and a very sweet cook, who unfortunately didn’t speak any English). I didn’t really enjoy the fishing much, because I didn’t see the point in it, but it was still a great experience and well worth it, not only because I wouldn’t be able to live without Vietnamese food! Find out more from Anywhere’s Perfect on Facebook and Instagram. READ Dewmini Roti Shop Cooking School: Is It As Good As They Say? After landing in Siem Reap and spending our time wondering around the ancient temples of Angkor, we thought now what? A cooking class of course! 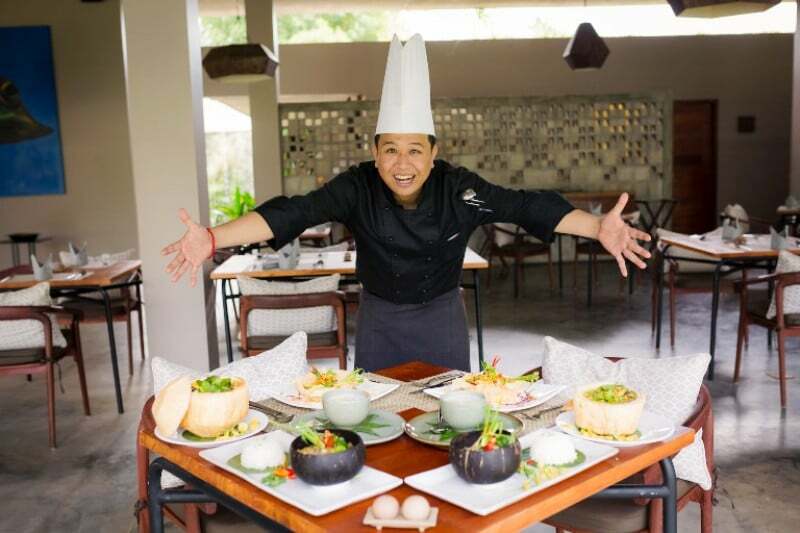 We were joined by head chef Toek Menghout at Templation resort for a lesson in local Khmer deliciousness. 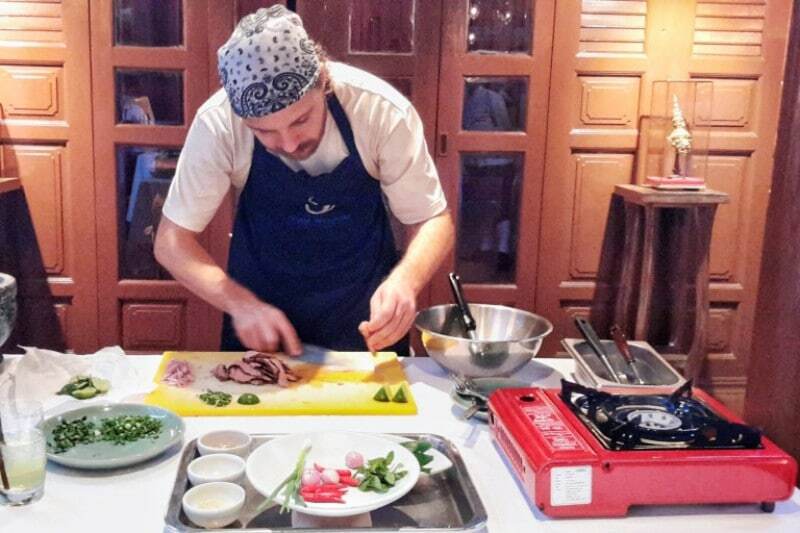 Chef Toek is passionate about his country’s cuisine and makes his food using recipes passed down through generations. After visiting the local farm or market (an experience in itself), we headed to the extravagant poolside of Templation to cook our meal using both an indigenous clay oven and more turn of the century technology. 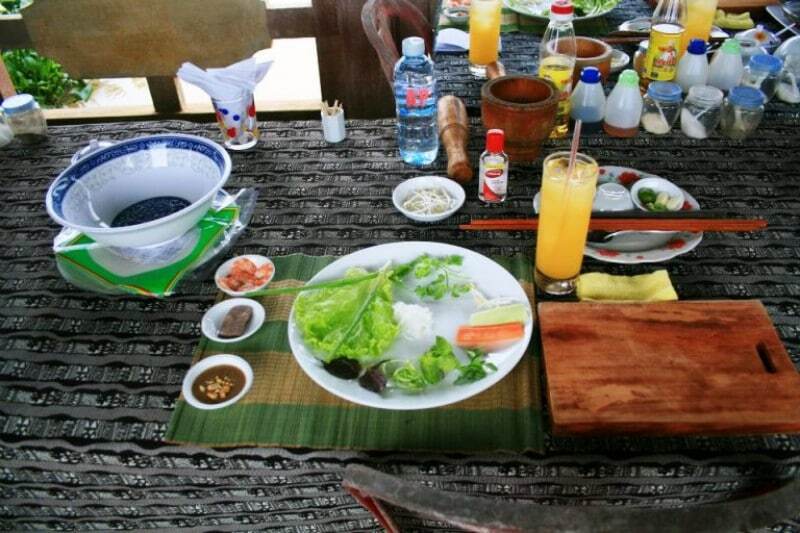 We learnt to make all kinds of Cambodian goodness including fish amok, beef lok lak, char kreung and sago pudding. After receiving our certificate, we enjoyed our meal on the spacious grounds of the hotel. We couldn’t finish our food because there was so much, so we got take aways! We sincerely enjoyed ourselves and are now cooking Khmer cuisine for guests! A stellar cooking class for me is more than just being taught how to make a traditional dish. Ideally, spending time with a local will mean learning about the history and culture of a place. An added bonus is if you’re contributing to a good cause. Our evening at Bamboo Delight Cooking Class in Nyaungshwe, Myanmar was all of these wrapped up in one. Owned and run by the lovely Sue & Leslie, Bamboo Delight is set in a beautiful garden. You can pick between a morning class that starts in the market to pick your ingredients, then back to their school to cook or, the night class, which is what we went for. 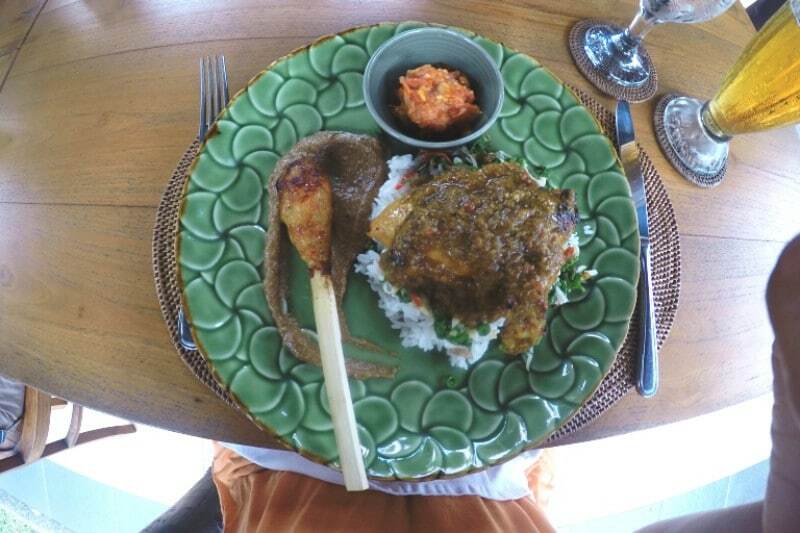 We made curries, salads and my favourite, the chicken with lemongrass coconut cream dish. That good cause I mentioned? Well, Sue & Leslie run a school in their garden for underprivileged children in the community, which they also take volunteers for. Finally, they also just opened a guesthouse. You can stay on their beautiful property and roll yourself home after all the food you make and eat in class! When it comes to the food, the price and the hosts, I truly couldn’t recommend Bamboo Delight Cooking School more! See what else is happening with Backpack With Brock on Facebook and Twitter. Japanese food is by far my all-time favourite cuisine and on my most recent trip I had the chance to take part in a sushi-making class, organised by Design Pocket in Osaka. Three of us were given all the correct Japanese chef’s clothing to wear and then instructed on some of the finer techniques of cutting seafood and moulding small handfuls of rice to make (not-bad-for-beginners) sushi. It was wonderful to use the right knives for each kind of seafood and be guided by a very happy chef to use just the right amount of rice and not too much wasabi. Of course, by far the best part was when they dressed up our sushi with all the side dishes and we got to sit and enjoy a lunchtime feast. Incidentally, if you want to go a little quirkier, Design Pocket also runs courses in making plastic food – yes, the kind of plastic food you see on display outside so many Japanese restaurants! Like many Japanese sites, theirs doesn’t translate too well into English, but contact them online for more details, or drop into their shop in downtown Shinsaibashi, Osaka – it’s full of plastic food! Find out more from Not A Ballerina on Twitter and Pinterest. 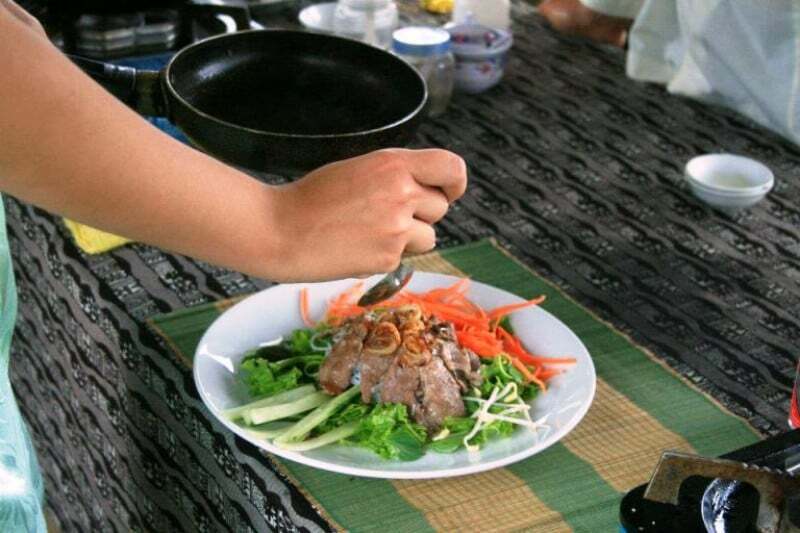 One of the best cooking classes I have ever took part in was in Hoi An. It was actually my first time ever taking part in a cooking class and I didn’t really know what to expect. The next morning, I was picked up from the lobby of the hostel by the chef and, after meeting the other people who joined the same class, we headed towards the market. It was an amazing experience, going through the narrow stalls, while the chef was explaining the role of each herb and buying fresh ingredients for our class. Later we transferred by boat to the place where we would cook, a nice open terrace surrounded by water and tropical trees. Before starting the class we got a tour of the premises, met the talking parrot and the “turning table” – I still don’t know how the table turned under the pressure of our hands. We started our class making pho – the traditional soup of Vietnam. The broth was already made over night (as it takes about 24 hours for the cow bones to boil and give pho the beefy flavour) but we added the rest of the ingredients. Next, we cooked Vietnamese spring rolls, banh xeo – Vietnamese crispy pancakes and vermicelli noodles with peanut sauce. At the end, we got to eat the entire feast we have cooked. What I loved about this class is that we had to cook individually and not in a group. The entire experience lasted for more than 8 hours and it was definitely very good value for money! Check out these 20 must try Thai foods too! Have you ever been to any great cooking classes in Asia? Let us know in the comments! Yeah, the first time we traveled around we didn’t do any either and we regretted it too. Now it’s on the top of the list. No worries, thanks for sharing with us! What a great resource for a food fanatic like me. I try to do a cooking class everywhere I travel to because there’s so much to learn from native cooks and it’s so much fun. I looked into that one in Chaing Mai. It did look to be one of the best! Glad to see it was. Yeah the Chiang Mai one has to be the best one we have ever done, if you are there then I highly recommend it. And you’re right, it’s the best fun. I myself want to travel to each country and then enroll in a cooking class. One of the best ways indeed to know a culture and a place is through its food! Plus, they teach you local secrets. 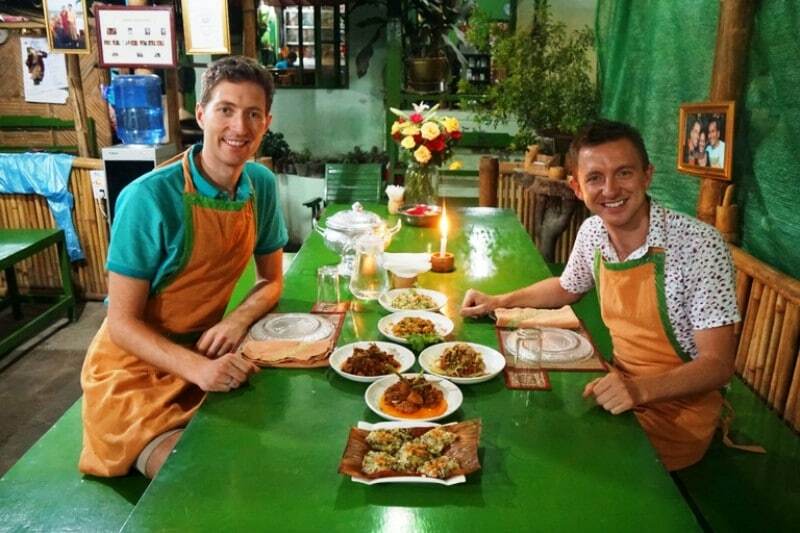 I did a cooking class in Chiang Mai and loved it! I love it when you realise your favourite local dish is actually amazingly easy to make, like Pad Thai for example. This is such a cool experience to have while travelling! The food looks super yummy too! Yeah we always try to do one anywhere we go, and you’re right, the food is always yummy! Oh I love attending cooking classes while traveling! For me, they are the ultimate souvenir! Great post- will refer to this when I’m looking for a good school while traveling. Your timing couldn’t be better, I’m researching cookery schools in Thailand for an upcoming trip, I’d like to do at least two classes during our visit. 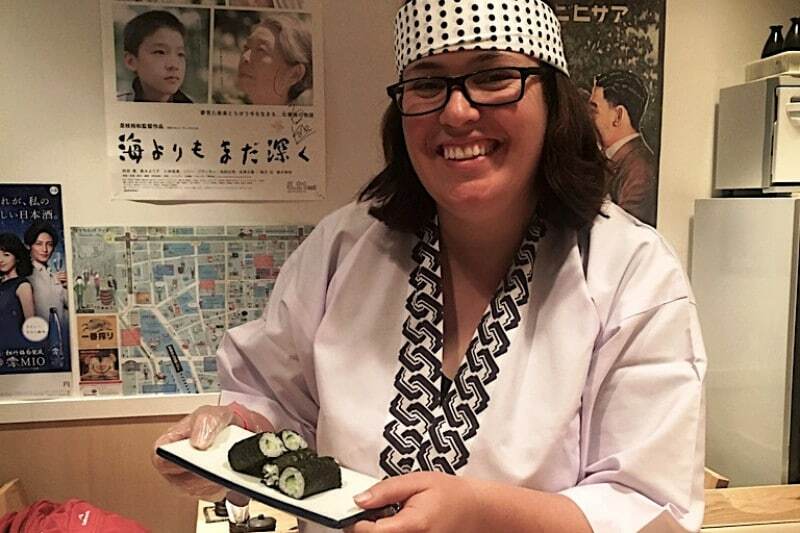 I love taking cooking classes when travelling, my favourite was in a traditional home in Kyoto a few years ago. Amazing! BOOKMARKING! Glad we could help! Have you written about the one in Kyoto? We would love to have a read. What a fabulous selection of cookery classes. I always want to do them when I travel, but my hubby isn’t so keen. However, next time I’m in Bali I’ll look out for the one you mention. Although I’m a big fan of eating local cuisine, I’ve never done a cooking class ANYWHERE, not even at home! Now I’m starting to think that’s a BIG mistake!! 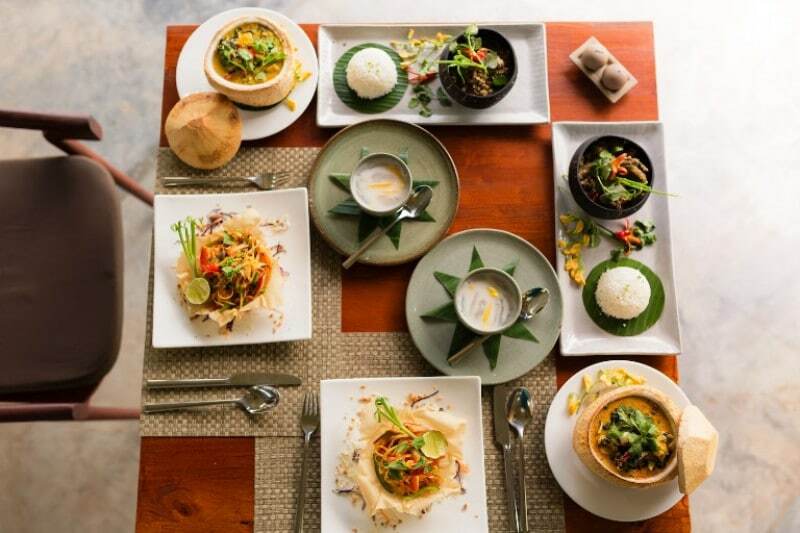 I was particularly interested in the Lao cooking school and cuisine – I’ve read a series of novels set there which also describe the food, so it’d be great to try out the real thing! If you find a genuinely good class then it can be such a good experience! I really hope you break the habit and do one soon 🙂 Hopefully you’ll be in Lao soon. I agree, food is a huge insight into how different cultures can be. Glad you enjoyed it! Totally awesome! You executed this group post really well. I never considered cooking classes while on trip but I get it it’s not just about the food about the local culture too! Fantastic! Thank you for this beautiful and informative blog.Please mention do they teach online like youtube or else where? Glad we could help, we are unaware if they teach anything online however they almost certainly do!